Ease of booking. Wound up being a workman s hotel for oil workers. I should have done a little more homework. It was a planned sister trip. Two of Us flew in to see the third sister who does not have accommodations in her home. All employees treated us fine. Very clean, value for money. I had the impression "sprucing up" was in progress. Very quiet. Not much. Older motel that was more for local construction workers away from home. Never felt unsafe tho. The staff was fantastic. My room was clean, my bathroom was clean. I had towels. The air conditioner cooled down the room quickly. I really enjoyed my stay here. Nice comfy bed...And the fact that the room was very clean! 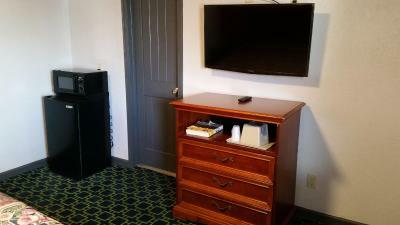 Good size room with everything we needed at a great price. 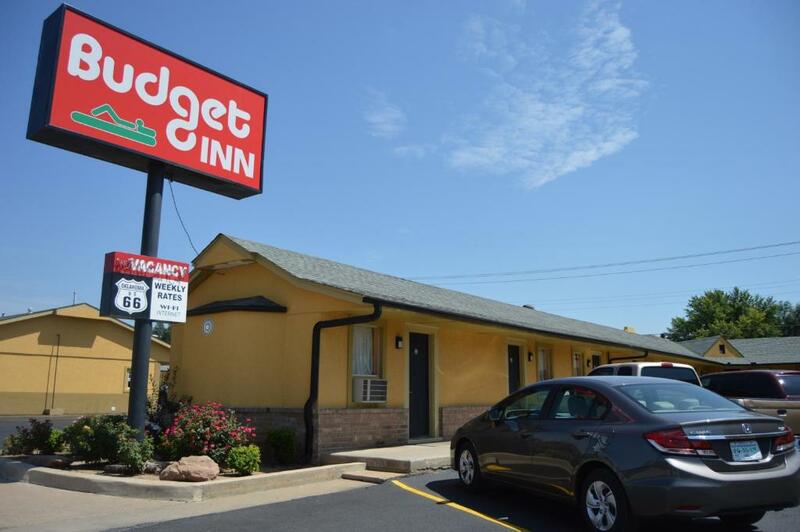 Budget Inn El Reno This rating is a reflection of how the property compares to the industry standard when it comes to price, facilities and services available. It's based on a self-evaluation by the property. Use this rating to help choose your stay! 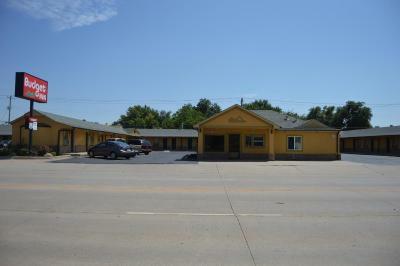 This El Reno, Oklahoma motel offers accommodations with free wireless internet, just 5 miles from Lucky Star Casino. The traditionally styled guest rooms at Budget Inn El Reno are fitted with a cable TV, a microwave and a refrigerator. 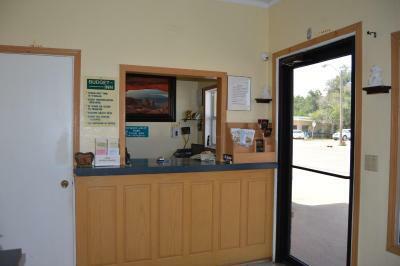 Lake El Reno is 2 miles from El Reno Budget Inn. Redlands Community College is within 5 minutes’ drive. 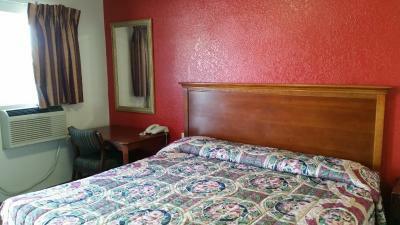 When would you like to stay at Budget Inn El Reno? 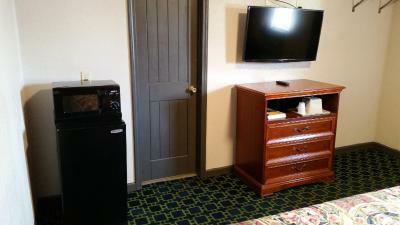 A cable TV, a microwave, and a refrigerator are featured in this room. 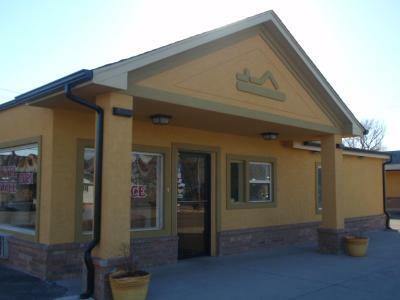 House Rules Budget Inn El Reno takes special requests – add in the next step! 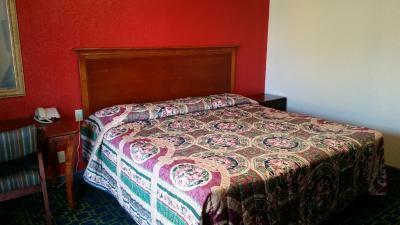 One additional older child or adult is charged USD 10 per person per night when using existing beds. 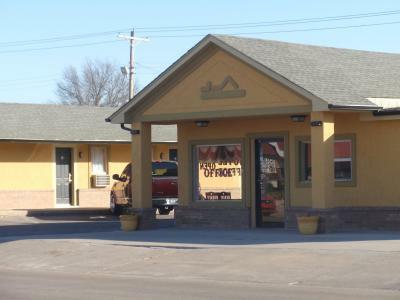 Budget Inn El Reno accepts these cards and reserves the right to temporarily hold an amount prior to arrival. Bed was outdated and uncomfortable. Room smelled of smoke. 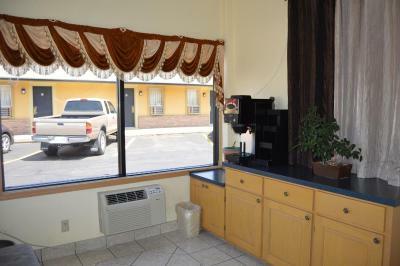 No laundry facilities for guests. The one thing that I really enjoy is a good hot shower after travel. The shower was SO WIMPY and with only the hot water on full blast, I had to run around the bath tub to get wet! DISGUSTING.